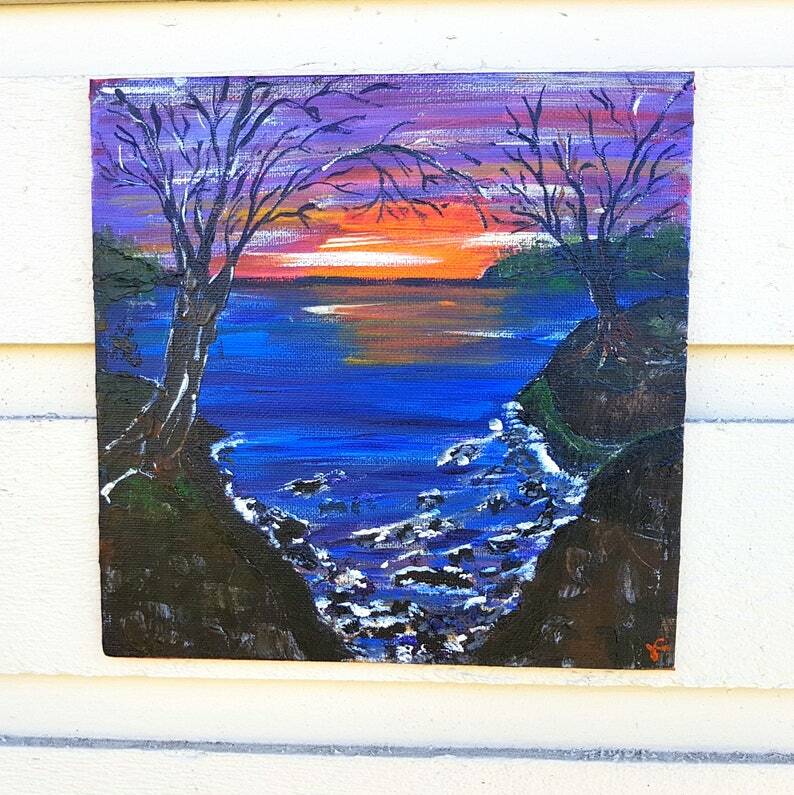 This "Night Cliffs" original painting draws you in, you can almost hear the waves crashing up against the rocks! - hand painted by Jen Curtis. 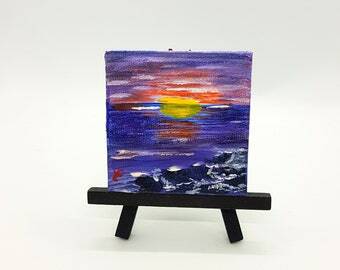 Measures 8 x 8 inches (20 x 20cm) and hangs with a canvas hanger. 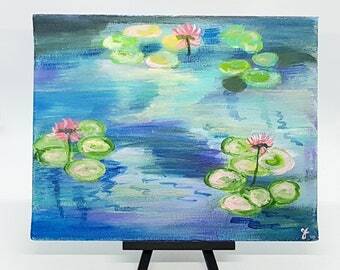 This listing is for the art in the first few photos- the other art pictured in the photos are of other art available in my shop! 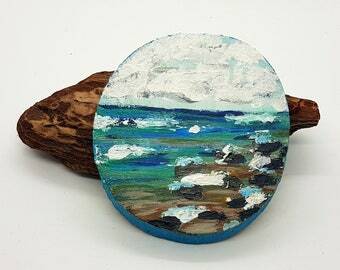 In this small painting I've used a pallet knife to accentuate the craggy cliffs and tumultuous waves hitting the rocks in a secret cove. I've used bright orange and red for the sun and deeper purples for the night sky. The waves and reflected water are many colors of blues, greens and purples. 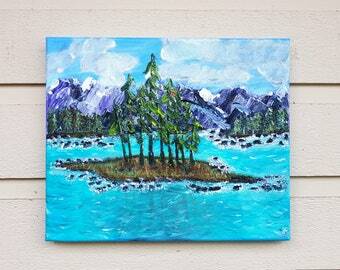 I've used deep dark greys, blacks and blues with touches of green in my cliffs and trees! 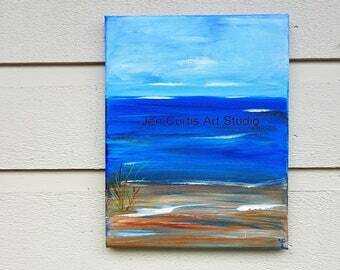 Painted in a slightly impressionistic style to give you the feeling of hearing the waves and smelling the ocean! 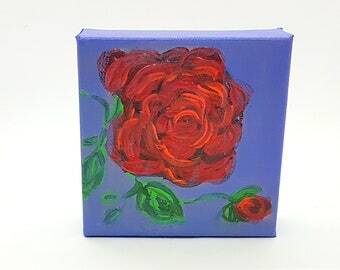 Mini Art piece - does not come framed - I have attached a flat hanger from this canvas so that it can be hung directly on the wall - you may also have it framed at a local craft store or framing shop. Some of the photos illustrate how it would look in a white shadow box frame (not included) Easel shown in the photos is not included but can be purchased on-line or at art shops!